Passive income is one of the core ways to scale up a freelance business. It's great for increasing your income while allowing you time to work on and build up other things. 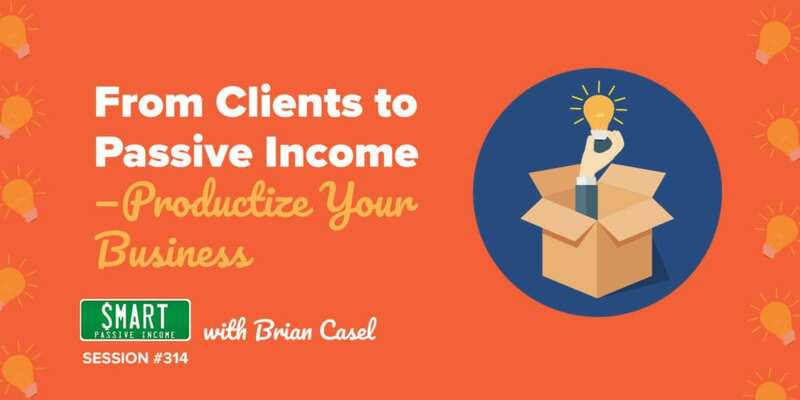 Here we have a podcast with Brian Casel, an expert in the space who has taught many courses on how to productize a business: to turn your services into a product that you can sell. Check out what he has to say below. We’ll cover all of that, plus how to hire for and manage your productized business, why Brian is delving into the software field, and more! We really get deep in the weeds in this conversation. For example, we’ll be talking about how to get over the fear of hiring or being a manager for the first time, so that you’re not the one doing all the work anymore. Learn how to productize your business, which means making your client-based business streamlined and scalable!